Last month, Byte the Book held an ALCS-sponsored panel discussion focusing on author incomes, and the ways in which authors are currently earning a living. Read on for our report. The panel was made up of Richard Charkin, founder of Mensch Publishing and former Executive Director of Bloomsbury; traditionally published author Tammy Cohen; and independently published author Laxmi Hariharan. The discussion was chaired by digital tech author and ALCS Board member Tom Chatfield, and with input from all areas of the industry, gave a rounded and absorbing insight into the workings of the publishing industry. To get the ball rolling, Tom Chatfield referenced the key figures from the latest ALCS-commissioned survey into authors’ earnings, which suggest the average full-time author earns just £10,500 a year. Charkin, speaking from a publisher’s perspective, suggested that the decline shown by the survey’s findings has resulted from the destruction of the public library system over the last 30 years which was a “safety net for authors”. He went on to say that money from public library loans used to subsidise authors’ income, but because the decline in such revenue has slipped largely under the radar, its loss has never really been addressed. You’re an author, but you’re also a business [so] you have to generate your own income. Publishers need to give you a realistic idea of what you can expect to sell and to earn because otherwise you can’t make decisions that will affect your life as a writer. At the other end of the spectrum, Hariharan has published around 15 novels independently through Amazon, and said the only thing she would use a traditional publisher for is “international rights, audiobooks and print distribution on shelves”. With her marketing background, she controls how she markets her books, what goes on the front cover and when to publish the books – without having to rely on publishers or undergo the year-long publishing process that’s typical for traditionally published authors. The final section of the evening discussed how writers can deal with working for free. Chatfield gave a brief overview of cases where writers had been asked to work for free, or for exposure, and then opened the question up to the panelists. Cohen’s concern lay with the idea that nowadays “you are expected to do a lot of things for free that you wouldn’t have been expected to do a few years ago…but it’s part of the whole devaluing of books”. Many consumers expect to be able to access books for very little money, which takes its toll on author incomes. Charkin agreed with Cohen’s point but suggested that, if there are other ways to get paid for writing, and working only for exposure “makes your name as a writer, it’s a no-brainer”. At the end of the panel, questions from the audience included: “How can authors be more self-sufficient in the future?” Charkin suggested that he would self-publish; Hariharan reiterated her point about running everything as a business; and Cohen said it was important to keep things flexible. Chatfield wrapped up the proceedings by advising the audience to make sure they know and respect their rights so they can get the most out of their work. Byte the Book’s report of this event can be found here. 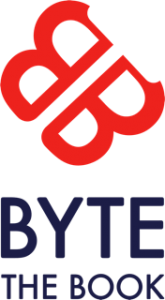 Byte the Book is a network that helps writers make useful connections within the book industry, and other allied industries, and enables them to become more literate in the business of books. The community is focused on learning about the latest technical and commercial opportunities, and collaborating to maximum benefit.